I was pretty domestic this weekend. Last week I mentioned that I was starting the Keto diet today. After someone super close to me voiced his disapproval I promised I would eat more than the 25g or less that the diet calls for. So while I am not cutting carbs out altogether I am limiting it significantly. I researched foods that I could eat. Basically everything I love is off limits. I did find a recipe for Parmesan Crisps. This little beauty may take the place of potato chips. Its super simple. 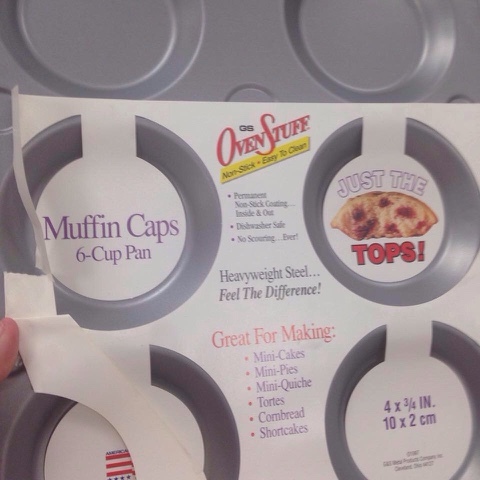 I wanted them to be thin like a cracker so I found this pan (on Clearance). Pre-heat the oven to 375. I then sprayed each slot with a non stick spray. Add a sprinkling of shredded Parmesan cheese. Then top it with a sprinkling of grated Parmesan cheese. Bake about 8 minutes or until golden and crispy looking. 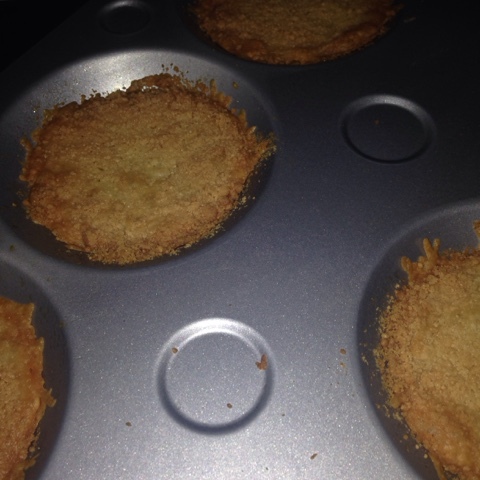 I then let it cool before popping them out and eating. 0 grams of carbs. I watched the entire 4th season of Melissa and Joey or at least what Netflix had up. 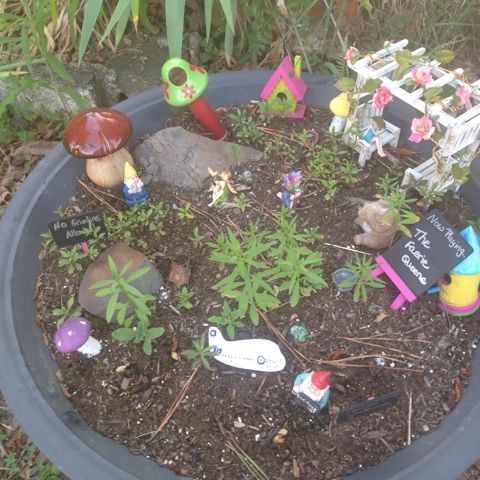 As if that wasn't enough of a waste of time, I decided to add to Emmy's Fairy garden. 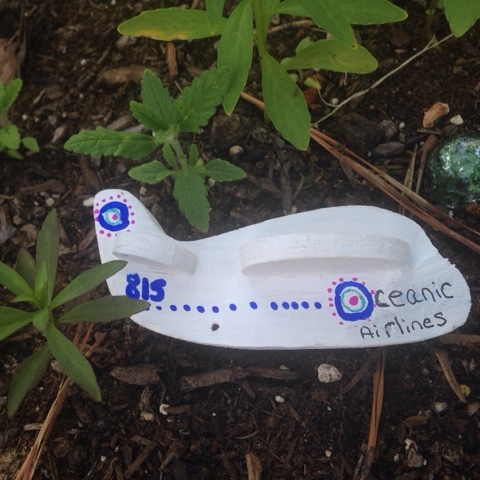 I made a replica of the plane from lost. Ha! Emmy's garden is so cool. I love those gnomes. One of my favorite non-potato chip potato chips is kale chips. I know, kale naturally tastes like grass, but if you pull the leaves off into potato chip sized chunks, put them on a baking sheet, drizzle them with olive oil and then sprinkle with salt and pepper, and then bake them in the oven at 325 degrees for about 10-12 minutes, they crisp up and lose their bitterness. Hahahaha! I love the Oceanic plane! I'm going sugarless this month and I was super excited to discover that some corn tortilla chips fit my criteria, so that's good. I'm not cutting carbs, just processed sugar. Day 2 and I'm already feeling a difference. I have never really been a fan of sweets, except Dr Pepper.I'm telling a difference. too, although actually thinking about what I eat is annoying.